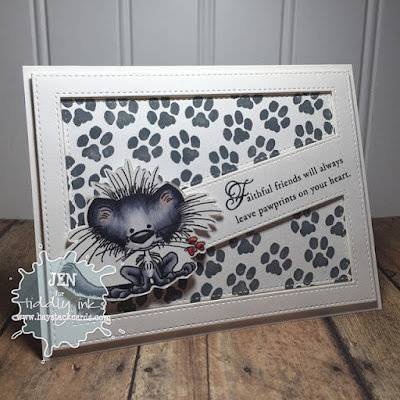 Hello, Tiddly Inks fans! It's time for another challenge - anything goes! I'm looking forward to seeing all of your wonderfully inspired creations. 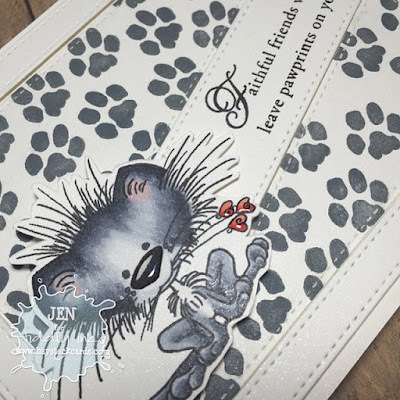 I made this card using Set of Kittys when my sister and brother-in-law had to say an unexpected farewell to their kitty, Merlin. He was 18 years young and had lived a good life. I just love this photo of him. 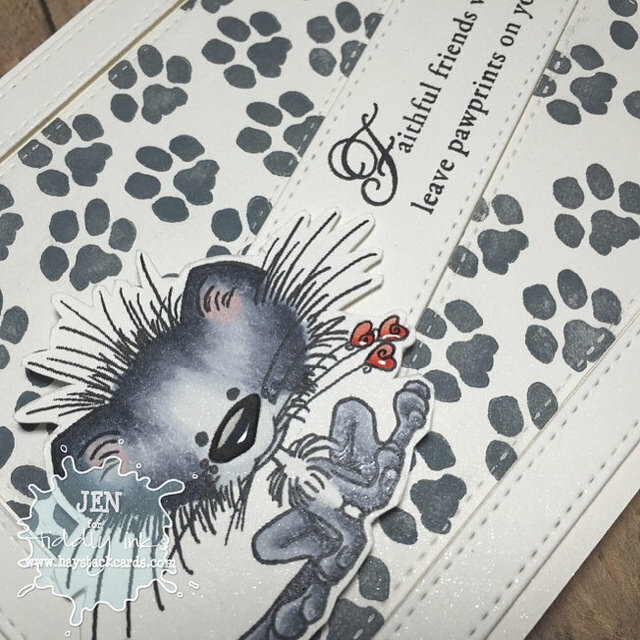 I stamped the paw print background in pigment ink before mounting Mr. Kitty with foam tape on the stitched cover up companion diagonal. A dab of glossy accents on the nose and on the flowers add a little shine. Need more inspiration? View the other makes by the design team and link up your project here for a chance to win! Thanks for stopping by!! 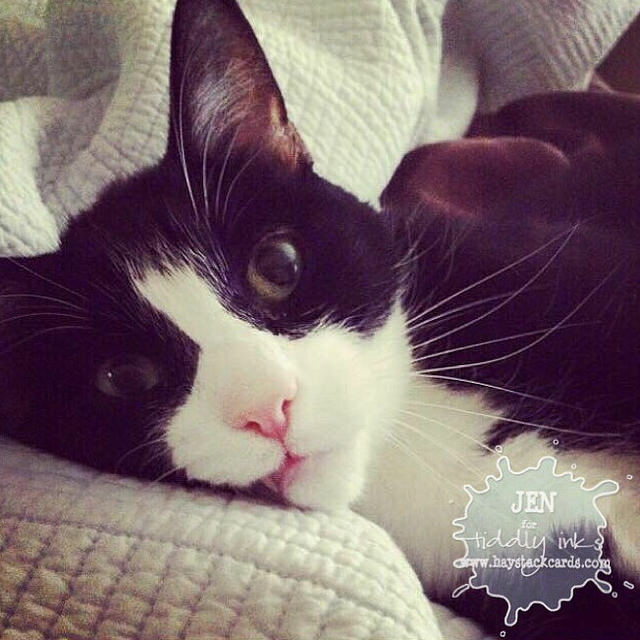 Dear Jen, oh my, its always so hard to say goodbye to furry friends.. but I'm sure your sweet card helped to get through it. Thanks for joining us over at Challenge up your life! So nice that you made this for your sister and bil. It's a sweet card! Wonderful photo too.